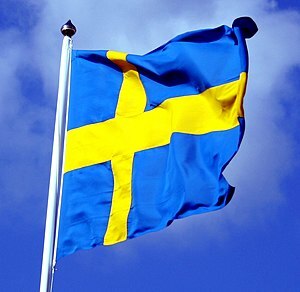 Being the awesome country that Sweden is, the State offers free Swedish classes for foreigners living in Sweden. Unfortunately, all of the courses in Almhult are offered during the day, so as a stay-at-home parent, I have not been able to take advantage of this opportunity. But, in hoping that something could be worked out, I went to the administrator/instructor of the program to inquire whether an evening class could be arranged for the upcoming term. Well, after a whirlwind 10 minute meeting, I walked out of that office with one Swedish book with a CD and enrolled as a “distant-independent” student of Swedish. Hmmm, distant-independent…I’m just not so sure how this is going to work out. While I am by no means and expert in foreign language acquisition, I do have some practical experience, both as a learner and an instructor, and I am pretty positive that “distant-independent” will be a sure recipe for failure. And while I am not an expert in language acquisition, I do consider myself to be nearly an expert on adult learning and learning environments and again would conclude that “distant-independent” does not bode well for me. I am not a very motivated language learner, which is pretty sad since I seem to have dedicated my life to working and living abroad. In high school, I attempted to learn German. I took three semesters and can only say, “Was ist das?” During my undergraduate years, I again took three semesters of Arabic and did a semester of study in the Middle East, and then did another three semesters during my graduate work and can really only say, “Anna idruss fee gamia SIT.” As a Peace Corps Volunteer in Bangladesh, I did an intensive language study of Bangla for three months, and then lived an immersed life upcountry and after two years only left with a low-intermediate rating for my Bangla skills, and today I can barely construct a sentence. In Burma, I had to complete some additional independent study of Burmese for my Masters degree and ended up doing more of a culture & language analysis instead of reaching a low-intermediate fluency level. After living in Burma for five years, I really was only fluent at giving directions to taxi drivers. So, after three days, I still have not started my studies. I fear it will be a long time before I reach page 129. While I have the advantage of being in the country and have exposure to real-life Swedes, a “distant-independent” study is not what I am looking for. I am a huge proponent of establishing appropriate learning environments, and it takes more than having a book, a cd, and living in the country to establish a learning environment that will really support my success. If you have not read my earlier post, “Where are all the Vickys?” I describe the tremendous difficulties a new arrival to Sweden faces when trying to become friends with a Swede. In addition, I have gotten the strong sense that if you can’t speak the language, the average Swede would rather you not try. This is in extreme contrast to nearly all other places I have lived overseas. Be it in the Middle East, Bangladesh, Burma or Thailand, the locals there would be very excited that I would be attempting to use their language and they would be very forgiving and supportive of my efforts. Here in Sweden, not so much. Perhaps this is due to the fact that outwardly, I appear to be Swedish, or at least I can pass as one pretty well. I have already mastered the art of not saying much, only the bare essentials, when checking out at a store and can do pretty well at passing off as a Swede; but, when the teller takes the interaction to the next level, I am doomed and they get that look on their face and I am shamed. So, instead of having only a book, a dictionary, and a cd; I would really prefer to have a support group of adult peers all working through the language themselves. A safe environment in which to experiment with the language, where errors are embraced, addressed, and overcome. Instead, I have a book, a dictionary, a cd, an attention needy 10 month old, a very demanding 3 year old, and a wonderful wife who I only get a couple of hours of adult time per night…if I am lucky and we don’t pass out on the couch waiting for the aforementioned 3 year old to fall asleep before we can crawl into bed. Not exactly the learning environment I desire. Despite all this, I intend to give this my best attempt. I am tired of living in a country where I do not speak the language. I am tired of feeling like a privileged American who gets by assuming that someone will be able to speak my language instead of me actually learning their language. I am tired of being language frustrated, so I will try. I just need to wait until the boys are asleep and I am awake enough to focus on language acquisition…shouldn’t be too hard, right? Well, I will keep you posted through this blog and might even share some lessons with you, as a means of my own “distant-independent” learning. As always, I would love to hear from you. If any of you have some good advice/tips on how to learn a foreign language, I am listening. How’s your wife doing with the language acquisition? Is she able to help you and speak Swede to you when she’s home? While my wife is supporting me my attempt to learn the language, currently I probably have just a bit more than her. But I hope that together we can work through some of this language learning thing. Refuse to speak English outside of home by pretending to be a monolingual Finn. Awesome!! Now, how do you say, “Hi, I am a monolingual Finn. How are you?” in Swedish? Keep on trying to get to know the people. Hopefully you will meet someone who will be willing to help you learn and be friends with. You are a hard worker and very strong willed. I know you will get some of the words/phases by using the materials that the instructor gave you. We are rooting for you to succeed. I know you can do it.